WorshipCare will be available for Preschool, ages birth to 4 years old at all services. 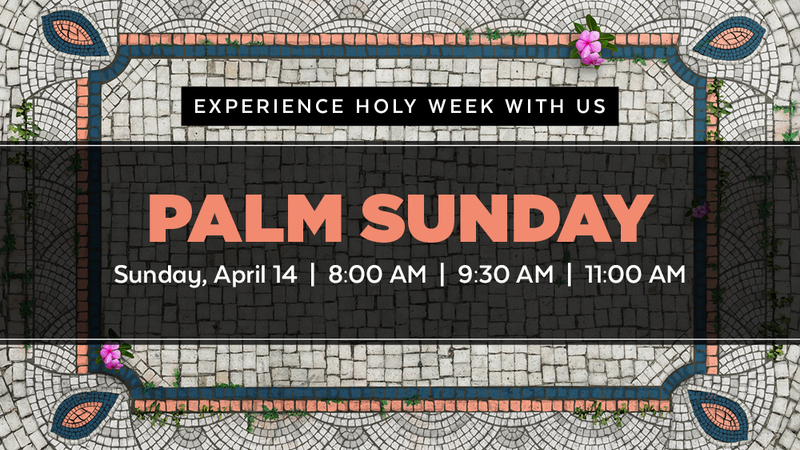 Walk through Holy Week with your family with this downloadable Holy Week Guide. While we have plenty of parking on site, we encourage you to print off this map just in case. (You can get a PDF by clicking on the map.) All of our off-site parking options have a shuttle service to and from the church. Don't worry! We've got you covered. WorshipCare will be available for birth to 4 years old at all services. 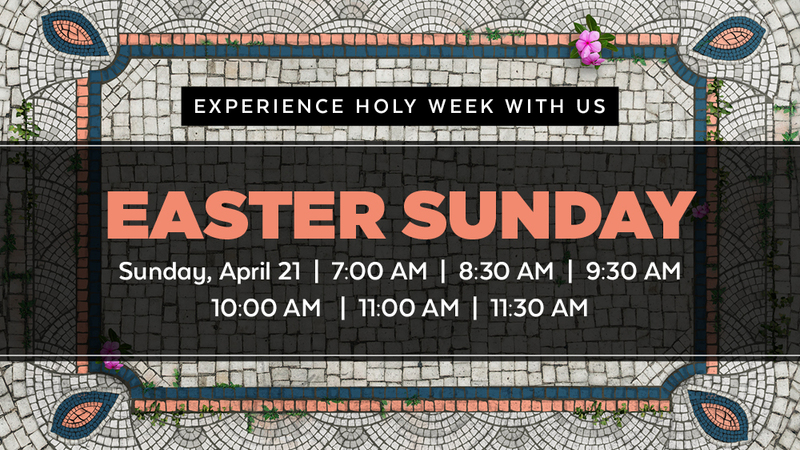 We're celebrating Easter at our other campuses as well! This is a come-and-go service that allows you to partake of the Lord’s Supper any time during the 90 minutes. 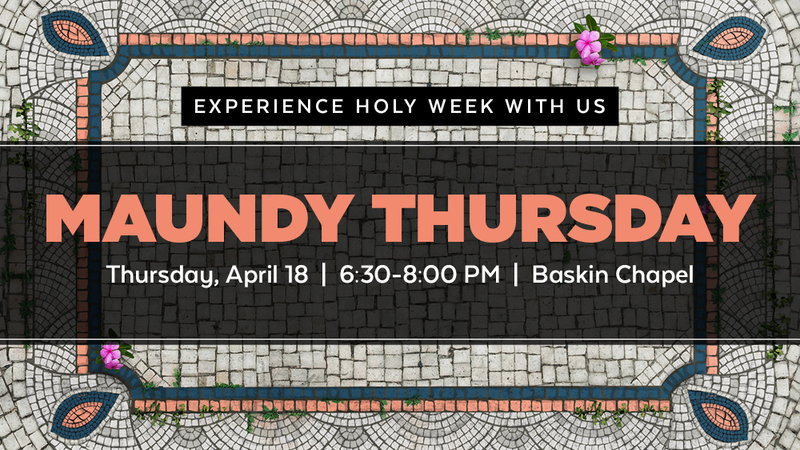 Upon entering Baskin Chapel, you will receive a printed guide that instructs and helps you experience the depth and meaning of the evening through quiet meditation, visuals on screen depicting the crucifixion of Jesus, and instrumental music that reinforces the theme of the evening. Whenever you are ready, you may then go to any one of four Lord’s Supper “stations” to receive the Lord’s Supper offered by one of our ministers and lay-leader ministers.